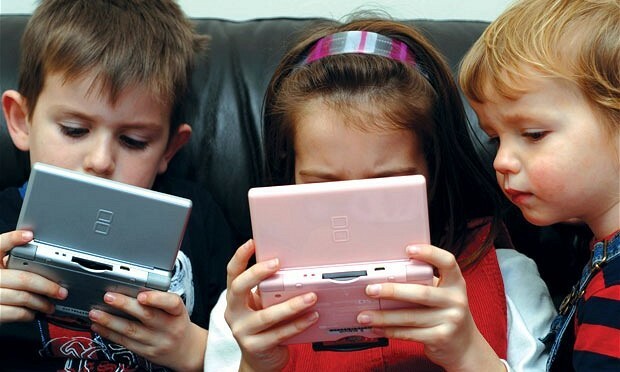 Not only the traditional educational system but our whole culture relates to kids more as potential than actual. Beings who may want to grow up to be SOMETHING, but for the moment are by implication NOTHING. One of the awesome things about Agile Learning Centers is that kids don’t have to wait to get real about who they are, they can start doing/being/having it now. 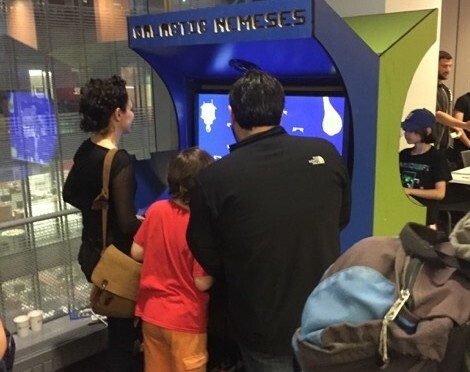 After going to the Museum of the Moving Image in NYC and playing these big multi-player games (meaning cabinets with controls for 8 – 10 players), they talked about them for weeks afterward. Our makerspace facilitator said, “Your know you could make your own game if you want.” And suddenly Game Team was born. Stated more clearly — the answers you have are limited to the quality of the questions you asked. This is a way bigger deal than we think. You see… Our culture, our institutions, and our educational system all teach us that it’s very important to have the right answers. The people with the right answers are the powerful ones. Well, there’s a big hitch in that equation. 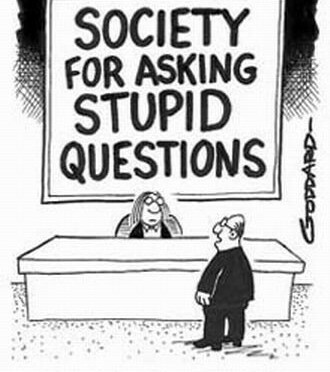 Having the right answers to stupid questions still leaves you with stupid answers. I just responded to Tomis’ post in his Agile Learning Center blog about how his time and work is structured. It’s a part of his own practice in the Learning Cycle we talk about in ALCs (Intend –> Create –> Reflect –> Share). So he’s reflecting on his work and sharing what he’s seeing so others can learn from it and be connected to him in his process. Most are said by folks who are very well-intentioned, really caring for the kids and wishing the best for them. But I am so sick of hearing this kind of blind and backward obliviousness to what is probably the most important type of skills and literacy for children today. 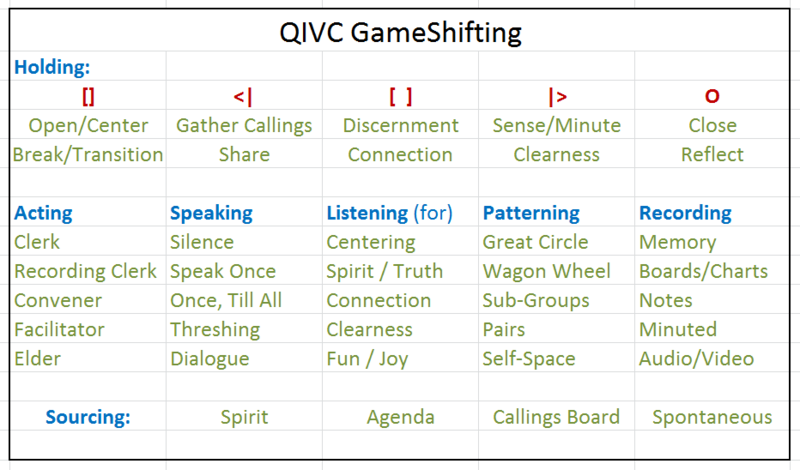 This weekend I’m facilitating the community retreat at Quaker Intentional Village Canaan and Eric Harris-Braun and I just customized a GameShifting Board for Quaker communities to use during the retreat. I’ve watched GameShifting perform magic with groups for kids and adults alike. So far, we’re off to a bit of a rough reception when introduced this evening, but I’m still hoping it will play out well in use tomorrow. This had me revisit, revise and update some of our GameShifting Documentation and parts of the Agile Facilitator Training Manual. So, I’m going to post some highlights here. Facilitating this fast, intensive, and immersive event has brought surprises both in the form of challenges and blessings. Our interpersonal bonding and connection happened quickly and pretty effortlessly. The “If you really knew me…” exercise helped us move into a space deep authenticity and vulnerability. 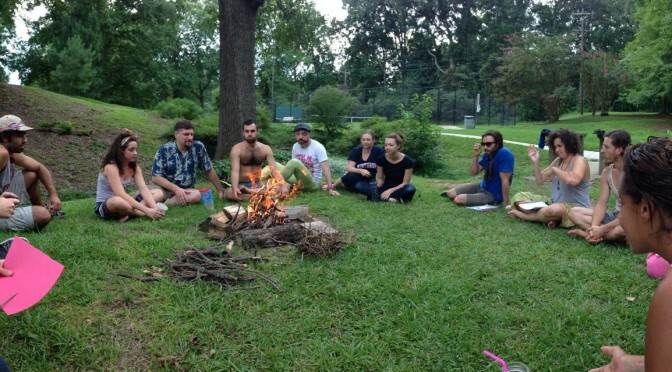 The people who missed our first morning seemed less able to be vulnerable with the group for the whole first week. One challenge we faced was avoiding getting pulled into abstract tangents where people want to solve theoretical problems for imaginary children in some Utopian educational setting. We may have lost about 20% of our group work time to these sidetracks, and I intend to be much more diligent about interrupting those discussions more quickly. Luckily, things moved quickly into actual practice with the kids at the camp, and the abstractions have largely been replaced with actual relationships with children.